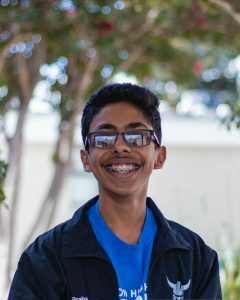 Prahalad Chari (10) is a staff writer for The Voice. This is his first year. The super cool, personalized jackets and his love for interviewing people motivated him to join The Voice. He loves airplanes, robotics, debate and music. Being the loud person he is, Prahalad can usually be found talking to others, desperately practicing his clarinet, doing some last-minute studying for the math test that he forgot about, or just perusing the internet.